and parents to participate in this AIT Day event. 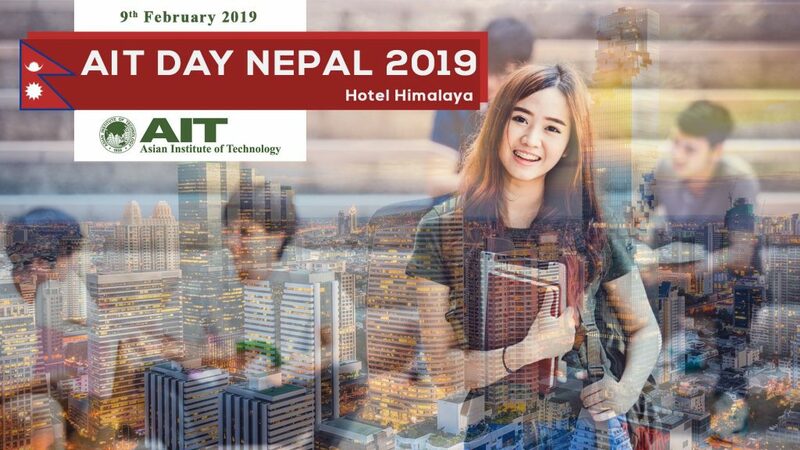 Please come and meet the AIT President, Deans and Faculty of all three schools, School of Engineering &amp; Technology, School of Environment, Resources and Development and School of Management, as well as our AIT Alumni from Nepal and get to know more about AIT. You can also get information about the admission and application procedure, scholarships and other information about AIT.